Let Pravda take you on a journey, with an atmosphere and specialties that are inspired by culinary art from around the world. The simple, minimalist interior, with its� white valuated ceilings and big windows, works in harmony with the varied international menu, creating a truly cosmopolitan restaurant with something to suit every taste. Fans of Asian cuisine can try a spicy Tom Yam soup or a delicious Indonesian shrimp wok. For a more European taste, there is Norwegian salmon, Italian beef carpaccio and Russian borsch soup. 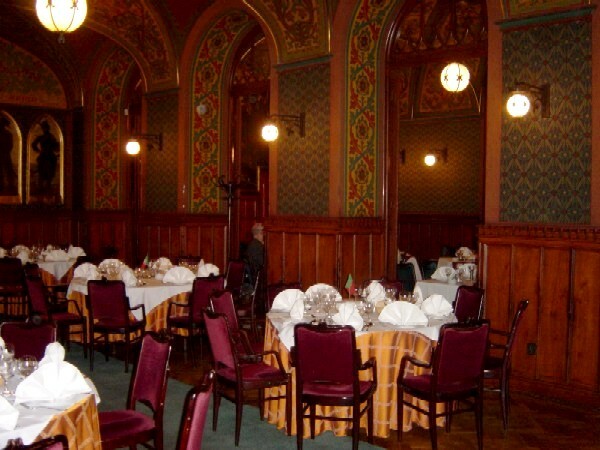 To sample some traditional Czech fare, opt for the delicious Sv��kov�. Deserts include Forest fruits cheesecake and Tiramisu. Such a range of cuisine requires an extensive wine list to suit. Pravda lives up to the challenge, with an impressive choice of wines from around the world. Pravda is a Chic and minimalist establishment with an A-list clientele, that feels comfortable and offers diners a world wide buffet of tastes, from the comfort of the dinner table.